With a new Editor-in-Chief and a publisher, the American Burn Association’s Journal of Burn Care & Research (JBCR) has recently made huge strides forward. Dr. David Herndon became JBCR Editor-in-Chief as of the July-August 2016 issue, and Oxford University Publishers was selected in 2017 as JBCR’s new publisher. In the two years since the change in editor, the Journal has eliminated a backlog of articles slated for publication, increased its Impact Factor significantly, and moved from operating at a deficit to bringing in revenue to support ABA activities. A significant backlog of articles approved for publication was keeping the Journal’s monthly acceptance rate at around 15% — the Journal can now run at a roughly 40% acceptance rate. This was achieved partly by keeping the acceptance rate low for several months while also redesigning the page typesetting and asking the ABA Board of Trustees to approve spending to increase the number of pages in each issue. Supplemental content was moved online to save print space, as well. JBCR leadership was delighted to hear the news in June 2018 that the Journal’s Impact Factor had jumped from 1.349 in 2016 to 1.923 in 2017. In fact, JBCR had the tenth highest increase in Impact Factor among all surgical journals in 2017. Other recent developments include a new look to the print edition as well as a new website hosted by OUP. The JBCR website features podcasts from experts in the field discussing current research articles, virtual article collections on various topics, easy online access to recent ABA Annual Meeting abstracts, and a live Twitter feed. 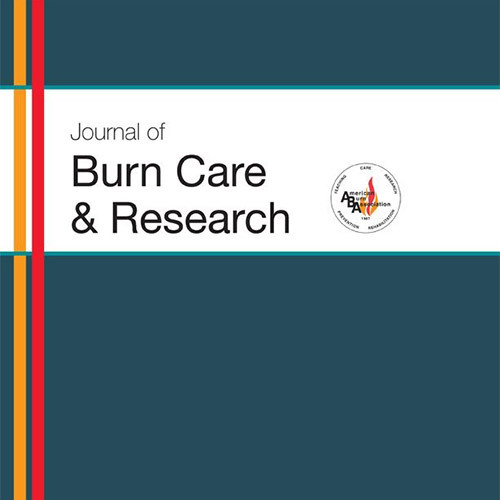 There is also a bimonthly Burn Journal Club which discusses current articles via Twitter (#BurnJC). Lastly, JBCR has recently seen an influx of advertising revenue which has contributed greatly towards making JBCR profitable again. Looking forward, Dr. Herndon has expressed excitement about the increased acceptance rate and plans to make a call to ABA members to contribute review articles. Additionally, Dr. Herndon sees great potential for more research from international investigators to be featured in the journal. He will speak at a conference in China in December 2018 to encourage submissions from Chinese burn researchers to JBCR – in recent years they have tended to publish in competing journals. Watch the JBCR website this month for a virtual collection of the top JBCR articles from Chinese researchers.